Stone is a natural solid formation of one or many minerals. The variations in stone come from the specifics on how it is formed and environmental factors during the cooling process. 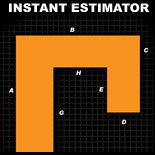 There are thousands of types of stone that have been quarried throughout the centuries. Quarries are located all around the world. A majority of natural stone comes from Italy, Spain, Turkey, United States, Mexico, China, Taiwan, India, Greece, Canada, France, and Brazil. Still have some design concerns. NO PROBLEM! 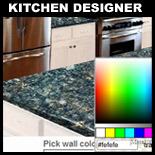 Use the kitchen designer to help you match stone colors to wall colors and cabinet colors. Create your kitchens pallet with ease. Print off your dream kitchen design and bring it with you to your stone viewing.